I've registered my own personal tartan. The inspiration for such was my great granda Hugh Frizzell of Greenock, Scotland, a truly grand character who led a full and fascinating life. Orphaned as a youngster at the turn of the 19th century and packed off to Canada as a Quarrier Orphan, he made his way hame to Scotland and married Christina Sutherland in 1904 and then went onto serve during the Great War with the Argyll & Sutherland Highlanders, Great Granda Hugh got shot in Egypt and was redeployed to the Rail & Water section of the Royal Engineers back hame again in Scotland at Fort Matilda Greenock and Paisley. Granda Hugh Frizzell had 13 children of which 10 survived to adulthood. He worked as a railway carter and then despite failing health offered his services again during WW2 as a Civil Defence Warden which basically did him in. He died in 1944 from failing health and serving in inclement weather he succumbed to a cerebral haemorrhage. The Home Office kindly sent me his Defence Medal retrospectively for his services rendered which I thought was a very kind gesture bringing Hugh's award up to 3 medals in total. Letters Patent or Certificates of Registration? I have a few coats of arms issued by the South African Government, I’ve generally referred to the actual physical document as Letters Patent and not a Grant of Arms. A grant is seen as having been issued with some form of Royal Warrant attached to it as opposed to being issued officially by a government. 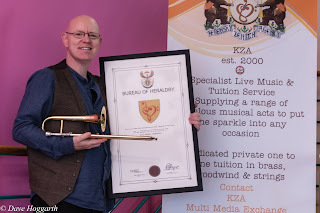 Recently I had some criticism from another South African armiger stating that the arms issued by South Africa were not Letters Patent but merely Certificates of Registration. This gave me pause to think and when I asked the person who stated the above, they decided to reply with a flippant remark if that I couldn’t see the difference then clearly, they couldn’t explain it. So, what are Letters Patent? A quick glance online gives several definitions but for the sake of brevity I will refer to the online dictionary.com which says ‘an open document issued by a monarch or government conferring a patent or other right.’ (sic). The College of Arms issues “letters patent” the Bureau of Heraldry issues “certificates of registration”. For all intents and purposes it’s the same thing. The College of Arms “grants” in the name of the monarch and in South Africa under the Heraldry Act (1962) the certificate is “issued”. In both cases the heraldic representation so issued and recorded affords the applicant sole ownership of the unique design. So, there we have it, to all intents and purpose they are the same thing but different only in the language of usage. To illustrate in England law enforcement officers are referred to as Constables and in Ireland as Gardas. Here in the explanation of language we discover that indeed it is reasonable to see arms issued by the South African Government known locally as 'Certificates of Registration' to be referred more commonly in other parts of the world as 'Letters Patent'. 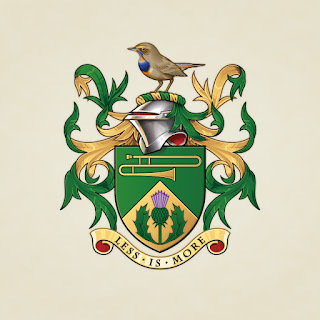 My lovely new emblazon by the very talented digital graphic artist Mr Quentin Peacock who works very closely with the heralds who are employed at the College of Arms. Quentin took my South African Letters Patent and gave it a thoroughly British Coat of Arms design. I now feel my arms have a thoroughly cosmopolitan vibe having been emblazoned by artists from Russia, Spain, South Africa, England, Scotland and Belgium. Arms: Per chevron Vert and Or, in chief a sackbut placed fesswise of the last and in base a thistle slipped and leaved Proper. Crest: A bluethroat (Luscinia svecica) Proper, perched upon a wreath of Or and Vert. Motto: Less is More. 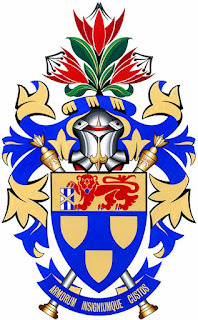 Registration: South African Bureau of Heraldry on 5th May 2015 certificate number 3850. 1918-2018 The Great War remembered. It’s been a little while since I’ve picked up my quill and dabbled down any recent thoughts…..I blame this partly on my typewriter which is my more random ‘go to’ than public blogging. However today I thought I would reflect on the 1918-2018 centennial. One Hundred years since the Great War to end all wars finished. To my surprise whilst doing my genealogy I’ve discovered that 3 of my 4 great grandfathers served during the Great War as well as several great granduncles. Today I thought I’d mention my great grandfather Charles Hawkins of Middlesbrough, 21 Lune Street to be exact. 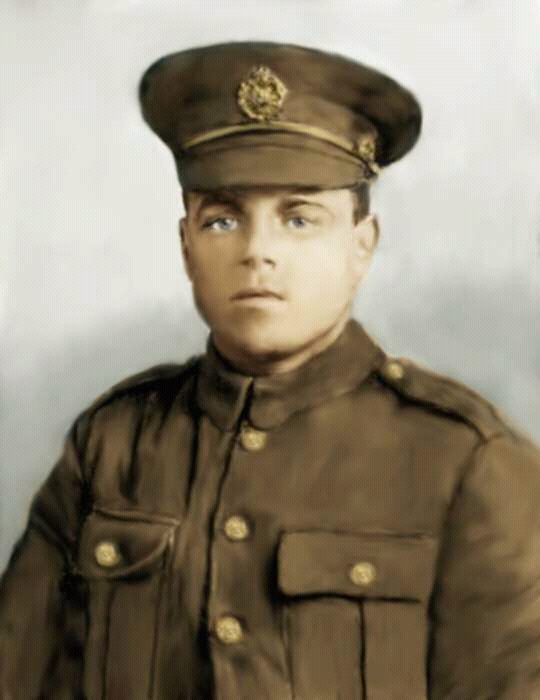 He was born in 1898 on the 27th June at 9 Elden Lane, Warrington in the County of Lancaster the child of Margaret Hannah Hawkins (formerly Rank) and Charles Hawkins although his uncle John Thomas Hawkins appears to be his probable father according to his Military service attestation records. Certainly Great Grandad Charlie was not raised by Charles Hawkins senior but was raised by his Aunty Stroyd at 28 Lune Street…..so I guess it’s probably true. 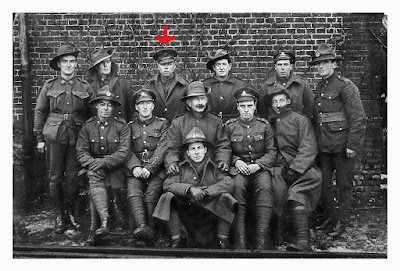 What’s interesting when I looked into my great grandfather Charlie, he was a career soldier and during the course of his life obtained six medals for both his military and civil service. I did notice that as gramps was a special constable during WW2 he should have automatically qualified for the Defence Medal but probably he didn’t apply for it. So I wrote to the Cabinet Office in London and they confirmed that he did indeed qualify for it, AND they kindly sent me his medal which I stitched to his other medals bringing Charlies medals up to seven in total. From his service records I could see he served during WW1 with the Sherwood Foresters & the Kings Shropshire Light Infantry, quite a long period in the 1920’s & 30’s as a Sapper in the Royal Engineers and then briefly again during the earlier part of WW2 as a member of the Pioneer Corps. There appears to be some cross over service with Charlie working as a Special Constable during 1939-42 and then with the Civil Defence. Charlie died on the 7th February 1969 still living at 21 Lune Street and my Auntie Carol his daughter was the informant. Given this was nearly 50 years ago seems like a nice moment just to reflect on an interesting piece of family history. The Bureau of Heraldry is the official heraldic department of the South African Government. The above coat of arms is their official armorial bearings. I recently had the pleasure of receiving an official coat of arms for my KZA Music Services which largely operates as a tuition service within the Teesside area of the UK. I am very thankful to this department for their professionalism and openness in accepting my business for armorial bearings. Their ethos to the international general public is clearly the way forward and a clear example to the other few remaining official heraldic authorities. Special thanks to Mr Marcel van Rossum OMBB Deputy Director of the Bureau of Heraldry for all his help, insights and advice regarding the greater Heraldic community and for his consistent professional approach in our dealings. A special thanks to Mr Gavin Schlemmer chief heraldic artist of the Bureau of Heraldry for his wonderful art work. Truly this official organisation is a breath a fresh air and taking heraldry into a wonderful new future. 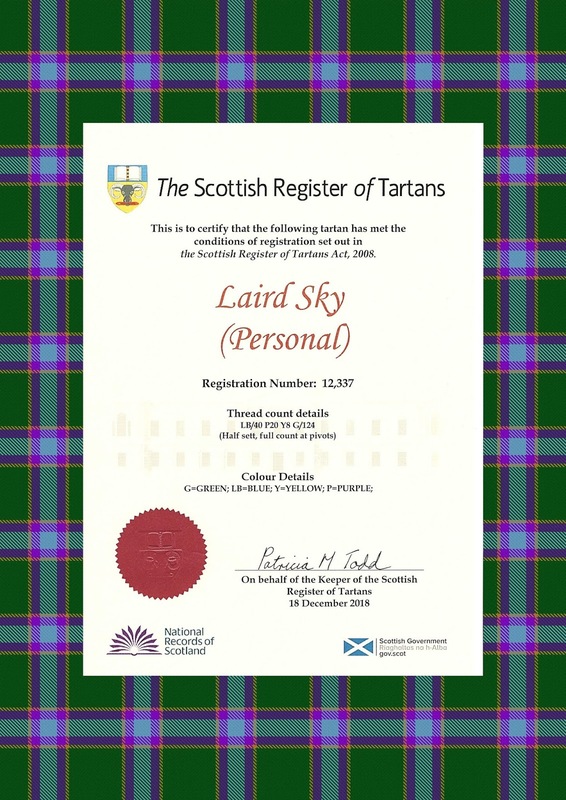 Laird Sky. Watermark theme. Powered by Blogger.